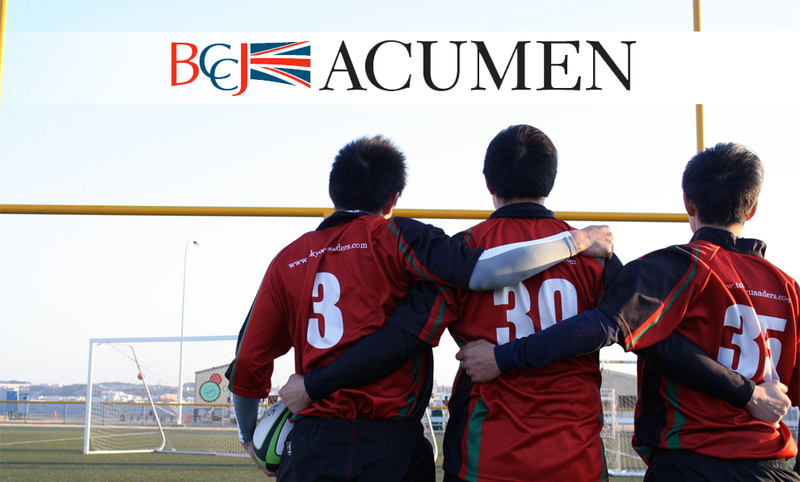 Tokyo Crusaders RFC are proud to be featured in the excellent magazine of the British Chamber of Commerce in Japan – The Acumen – in their September 2012 issue. The article gives a positive image of the foreign rugby community, and all the reasons you need for getting involved with the club. Please read the full story here, courtesy of Custom Media. The Tokyo Crusaders welcome rugby players and fans of all sizes and abilities. We play and practice from September to May (main season), with tours and events throughout the year. If you want to get involved with a great team – get in touch now!